A delicate and trendy 2-line modern fashionable short gold mangalsutra in 22kt BIS hallmarked gold. 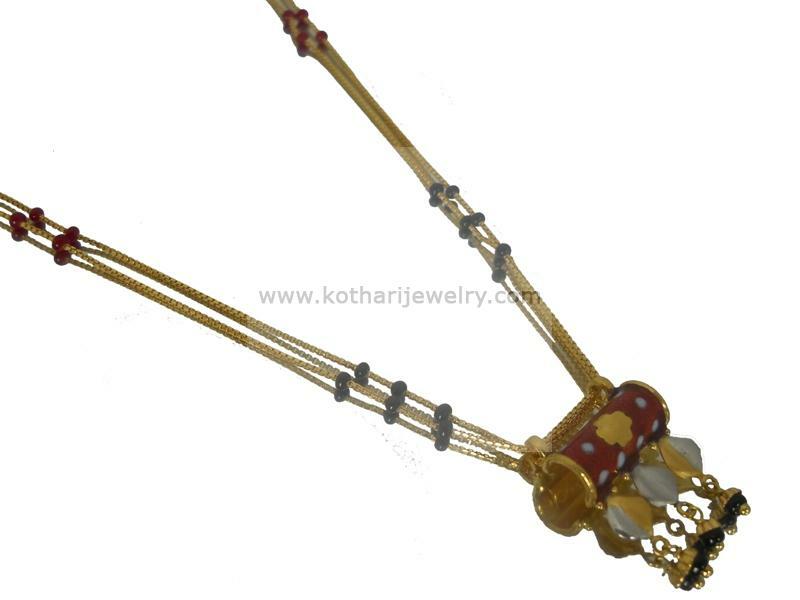 The short mangalsutra is suitable for modern woman for evening functions or parties. The mangalsutra pendant is painted alternatively with red and silver meena.